TubeNet • View topic - What's your horn/mouthpiece combo? Re: What's your horn/mouthpiece combo? Weril 4 front pistons 3/4 CC tuba with Faxx 18 mouthpiece. Eastman 632 CC " " " CC "
I just sold my Miraphone 1291 and 185. End of an era for me. They have the same rim, but the F mouthpiece cup is shallower. Try swapping out an Orchestra Grand cup (same two other components) on the 5/4. (That was my set-up when I owned a RM 5/4). If $95 for the cup from me (new) is too much, find a used one. Thanks Joe I will consider that. An Update in my arsenal. 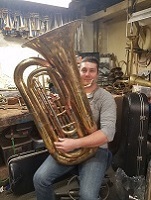 This Holton Mammoth 6/4 BBb with my Custom G&W titanium 2" deep bowl with a flattened bottom, 9.2 mm bore and 34.7 mm inner rim OR the gold plated brass version made for me by Zottola in 1988 with the same dimensions (except the inner rim diameter is 35.3 mm) but a slightly more comfortable (24AWish) rim. G&W copied the Zottola piece in titanium for me in 2007. According to my peanut gallery of ears the titanium is "smoother" and the gold plated brass is "warmer". A dagger which in mediaeval warfare was used by the foot soldier to remind an unhorsed knight that he was mortal. All three tubas have different receiver sizes, so I have to switch the shank every time. Gotta love tubas. I keep the same rim. 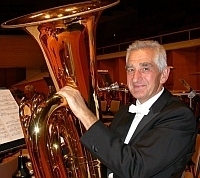 Getzen G-60 (F tuba) with a prototype G&W Baer/Beltane. Getzen CB-50 with a Conn Helleberg. Conn Grand Orchestral (6/4 BBb with a pre-Deck 2165 bell) with a Stofer Geib. King H.N. 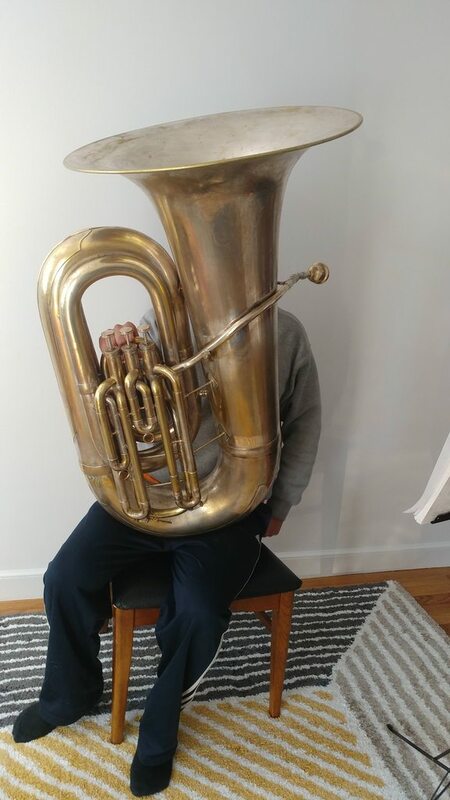 White sousaphone with a Conn Helleberg. Lee Stofer modified and restored Getzen CB50 with a Dillon Roylance mouthpiece. Thank you for wearing socks!! Btw, those mouthpiece dimensions are about the same as an American Standard brand toilet bowl. Schilke Helleberg II. Will start with it when I purchase a horn.